Wolfgang Rihm began composing during his school years. He received his musical education at the Musikhochschule in Karlsruhe, from Karlheinz Stockhausen in Cologne and from Klaus Huber in Freiburg. He also studied composition under Wolfgang Fortner and Humphrey Searle as well as musicology under H.H. Eggebrecht. After teaching at several locations, he returned to Karlsruhe in 1985, where he has been teaching as a professor of composition ever since. T. Röder wrote about Wolfgang Rihm’s musical works: "In his own dialectic way, Rihm is bound to his subjective creative impulses, whereby anarchic emanations are precisely set to protocol. Rihm’s musical language is communicatively articulated despite their individual departures. The dramatic potential of his work has been employed in many respected theatrical productions". Wolfgang Rihm himself on "Time Chant"(1991-92): "Chanted but not played". To me, instrumental virtuosity is an enhancement of vocal abilities. On string instruments, in particular, I love the drawn-out vocal timbre, the vibration of the flow of time. Energy. which builds up in one note in order to generate the next note. And between the notes, in an unimaginable manner, arises something that we can call "music". One note is thus the anticipation of music; another note, the memory of music. There was something Wagnerian in the back of my mind that stimulated me, even as I composed my Viola Concerto (1979 - 83). Abbreviated and paraphrased, it goes: "spin the thread until it is all spun..."
In a "chanted" time I find the unalterable march of time and the absurd commentary of one who, while living in time, wants to make it stand still, enclose it within the moment, to freeze it in the moment as if locked in stone – but as motion, energy, breathless but not deathly rigid (Artaud’s idea of betyl, the singing stone or even a musicological comparison: melos = nerves...). This calls for a medium with the virtuosic skill to make nerves and strands of thought audible, make them stand out from the immaterial configuration as palpable, sensual shapes. 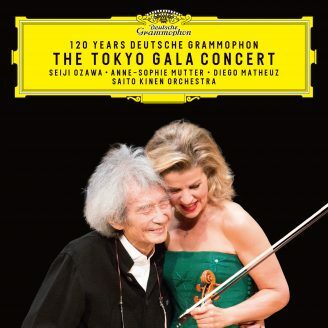 At the very moment, when I was engaged in conversation with Paul Sacher, and he was encouraging me, actually commissioning me to write for Anne-Sophie Mutter, I remembered in a flash the high notes that I had heard this artist play with such unusual energy and animation. I never encountered in her playing that attenuation and impoverishment that some virtuosos typically play SLOWLY in the highest regions. On the contrary, it is precisely here that one fines remote fulfillment, life and power. Especially then, when I want to give form to what is most remote, I want its representation to be the act of a living being. From there I continued to spin. The thread? Until it was all spun? The orchestra is small, and plays a double role. The violin emits its nerve line into the resonance chamber and inscribes it there. In essence, this is monophonic music. And it is always song, even where beat and pulse shorten and force one's breath. The line itself? Is it a whole? It's all only a part, a segment, a fragment; it is delivered up for our observation without beginning and without ending, and as we listen we draft the outline of a whole that isn’t there. But it must be there.